Welcome to Writing Tips Oasis, and our newest guide. This time around, we’re focusing on writing science fiction. Science fiction is a genre of fiction in which the plot is about situations different from both the present day and the past. That being said, most science fiction stories focus on science and enhanced technology of the future. They are almost always set either in the near or far future, in space, on a different planet, or even in a different universe. It is a genre of speculative fiction that deals with imaginative concepts. As such, it is a weird mix of creativity and science – and trust us when we say, science is the fundamental element of science fiction. Often, science fiction books focus both on science and society, and as such, the novel belongs in two genres: science fiction and dystopia. Considering that we’ve already covered dystopian novels in a different guide, in this beginner’s guide to writing science fiction, we will focus only on writing science fiction where the story and plot revolve more around the science, rather than futuristic dystopian societies. 1. Real science or magic? The science in science fiction can determine a lot of things, but it has the biggest impact on the world. Because science is pivotal in advancements in technology, most science fiction novels focus on using science to do something new, to create something new, or using advanced technology in everyday life that doesn’t exist at the moment, like teleportation, for example. The real world – where everything is the same – except for the new technology. These novels are usually set in the near future, decades from now. A futuristic world – where it’s Earth or another planet, centuries or even millennia from the present day. Alternate Earth – these novels can be set in any period of Earth’s history, often depicting an Earth where certain events, wars, discoveries, and more, either did not happen, or happened differently. Of course, there are other worlds, but most of them can fit into one of the three categories above. Science fiction stories have a close connection to the principles of science. These stories involve partially true – partially fictitious science laws or theories. They should not be completely unbelievable, because then, they could be considered as a fantasy genre. People often like to debate when can you draw the line between science fiction or fantasy/magic. The main difference here is that science exists and magic does not. Stephen Hunt, author of Court of the Air, has said that a fantasy author creates a monster by having a character with robes of any color mumbling a spell, whereas the rules clearly state a science fiction writer has to put the character in white robes only, and have them mumbling something about genetic engineering and so on. For an average reader these both seem equally magic though. Apart from Hunt, Ted Chiang has also spoken about science fiction and has stated that “if you can mass produce it, it’s science and if you can’t, it’s magic." In other words, if you push the science of your story too far – it will seem like magic. In order to keep your novel firmly in the science genre without straying into fantasy, you need to make sure that your science is, before everything else, plausible. And for that, you will need to do research. In order to start writing any type of fiction, you need to research and gather all information you need first. And, since it is science, you are going to have to do a lot more research than usual. Before starting your own sci-fi book, you should read a big number of books of the same genre so you can really capture the essence of the genre. Reading from others can teach you a lot about what does and does not work in a novel. But that’s just ‘the easy part of the research.’ Reading other novels in the science fiction genre will enable you to avoid common clichés, however, it will not help you create a credible science fiction world. In order to do that, you need to do a deeper research in science. Thanks to the internet, today you do not have to travel far and wide to reach scientists or information for research (although, having a real scientist go through your ideas and your work and determine the plausibility of the science fiction world is always a good thing). However, you can read scientific online magazines, you can get in touch with scientists online, you can join science fiction writers’ groups where other people can also help you gauge the plausibility of the science in your world. Most importantly, stray away from breaking the known rules of science. For example, if you create a world or a planet that doesn’t have gravity, you need to explain specifically why this has happened (because according to the normal rules of science, planets have mass and gravity, and it would be really difficult for the reader to suspend their disbelief and accept that world as such without a good explanation as to why). Before sitting down and actually starting to write a story, first you need to imagine all of the scenarios in your head. Keeping track of your story by writing down small outlines of it, is also very helpful. If you are having trouble creating the plot of the story, search for a message you want to send to the readers. When your story has a final meaning, it leaves some kind of an impact on people. Otherwise, in order to create a plot, you need a basic dramatic situation. The basic dramatic situation will push the protagonist to act – and with that, the story will move forward. In a science fiction novel, the plot can either be a result of the science – for example, a scientist creating a doomsday device – or it can be directly related to science (for example, a scientist looking for a cure for an epidemic). Once your protagonist is within the basic dramatic situation – once he or she has a problem – the plot is easy to build around it. If you’re writing an outline (and not writing by the seat of the pants), you can plan ahead. Discover the moment when the protagonist makes the wrong decision and when he makes the right one. The problem you will present your protagonist should not be easy to solve – but it doesn’t hurt for it to look that way. Real people always strive for the easiest solution to their problems. The wrong decision that the protagonist makes is always that – the easiest solution to the problem. Then, as the story moves along, the protagonist will come to the right decision and the right way to solve the problem. People who opt to read science fiction novels are usually more open to stories with different worlds than ours. If you are making up a different world than ours in your story, you have to take some time and think about a new culture. It would not make any sense if this whole new world has the same cultural habits like ours. Also, one of the most common traits a science fiction reader wants in a book is the escape from reality. This means that you will have to write about an engaging new world with enough depth to draw in a reader. The people: are they using it in everyday life, or is it hidden? Society: has the science had an impact on societal organizations, groups, governments, etc.? Transport: how does the science impact transport? Do people still drive cars, ride trains and busses, or do they have other means of transport? Culture: how does the culture of your world differ from ours and why? And how is that affected by the technology and science in your novel? Many science fiction writers make the mistake of creating a world set in the future – where our culture has not really changed at all. Human societies either go dystopian or utopian – and most often, they are dystopian and totalitarian. However, science fiction is always more focused on science and futuristic technology, rather than society (although, great science fiction novels focus on both). Make sure that your world has layers. Creating a totalitarian society in a science fiction novel can take the attention away from the story. In fact, your readers will want to see a change in that society, and it often becomes the primary objective of the novel. On the other hand, with science fiction you can put the future of humanity itself in jeopardy if you raise the stakes, while with a dystopian or a totalitarian society, you will always have two factions vying for the top spot. Not every future needs to be a totalitarian society to be impactful on the readers. If it was not for science, this genre would not exist. Science is what makes the plot and everything is based on science. So, of course it means it would have a big effect on the story itself, and not only on the world. One thing is for sure: science and technological advancements are empowering to humans (and humans are like children with guns when it comes to new technology). This means that you can use the science to raise the stakes and the danger – instead of putting a few people in danger, like the protagonist and his friends, you can put a whole city, a whole continent, and a whole world in danger with it. On the other hand, make sure that the protagonist is not overpowered – in any way. A protagonist that starts out as overpowered (enabled by the science or just by his or her character) will not be able to change and make progress throughout the story. In addition, an overpowered protagonist can easily defeat the enemy, the villain, or the antagonist – and as such, your story is very slim. When the protagonist can easily solve all his or her problems, you don’t have a story, you have a retelling of something that happened. Make the science have a personal impact on the protagonist. Limit his or her choices – make sure that the choices that the protagonist has to make will defy and challenge his or her personal beliefs. In that way, you will have both the plot and the character arc depend on the science, be caused by the science, which will increase the credibility of your story, your world, and the characters that will inhabit that world. More importantly, you need to gauge the effect of the enhanced technology on the everyday lives of your characters, in order to gauge just how different your world is from our world. In addition, if you create the world before you begin writing your novel, you will have an advantage: you can avoid plot holes caused by world inconsistencies, and you can catch worldbuilding inconsistencies in your novel before they happen. When making up a sci-fi novel, it is really important not to overuse the most common clichés that writers use in these kind of novels. Let’s take a look at some of the most common clichés in science fiction. Villain aliens that are ten times bigger and stronger than us. Wars that resemble WWII, with big battles that play out very similarly, despite the advanced technology. The good news is that you can easily turn a science fiction cliché on its head. By offering a different explanation. Having a different build-up to aliens that want to overtake the world, for example, can turn a cliché into a really good story. However, focusing only on the science in science fiction can lead to a novel that reads like a dry textbook, where everything is about the science – and not about the people (characters) who inhabit the world and drive the story. For that reason, you must never forget the ‘fiction’ part of science fiction. The fiction part in science fiction is the drama between the characters. Regardless of whether that drama is connected to the science or the plot, the drama in science fiction is the soul of the novel. It’s what prevents your novel from becoming too dry, too focused on the science – so focused, in fact, that the characters become irrelevant to the story. However, all novels need characters that are vivid. They need to jump off the page, be vibrant in their likes and dislikes. The science and the plot need to seamlessly fall into place with the characters – you need to make sure that the plot and the story will not be same if it happened to a different character. In other words, universal ideas and stories are too universal. What the readers care for the most are the characters – and the drama between them. Putting the characters and their relationships second to the story and the plot will not make your readers invest their emotions in the story – because the readers will have no one to relate to. For that reason, we dedicated the second part of this guide to the creation of characters and the creation of drama – human drama in a scientific, often futuristic world. If you want a story that your readers will absolutely adore, you need to take your time to carefully craft your amazing characters. And, when you are writing a story that is most probably set in the futuristic world, it is more important than ever for your readers to relate with your characters. In order to portray your characters as layered, deep, and vivid, you need to create situations where a character’s traits come to light. For example, a scientist with strong beliefs in the ethical use of science and technology might need to make a decision between saving the love of his life and killing thousands of people, or letting his loved one die. In addition, it’s contradictions that add dimensions to characters. Every major character in a story needs to have contradictions. For example, a young woman is using time travel to prevent the accident that killed her husband. But, what she really needs is to let him go. These situations are the kind of situations that put the wants and the needs of a character into the light. The protagonist always chooses the want over the need, but in the course of the story, the protagonist needs to become aware of his or her needs, and change. And that will lead to the protagonist’s character arc. The easiest way to explain a character’s arc is this: if the character changes somehow throughout the novel, that character has had a character arc. The protagonist, who drives the story, is the most layered character in the story, and as such, the protagonist’s character arc happens gradually. In the end, the protagonist is a completely different person, transformed forever by the events in the novel. Ideally, all major characters in your novel will go through a character arc. There are many different types of character arcs. For example, children and young adults in stories often go through a coming-of-age character arc, where they discover who they really are. Another common example is the redemption road of the anti-hero, who starts out as a character who embodies the characteristics of an antagonist or a villain, but becomes a hero throughout the novel. When it comes to the ‘bad guys’ in your novel, or the villain (who may or may not be the antagonist to your protagonist), remember that he or she would need just as many layers as the protagonist. A villain who does bad deeds just for the sake of it, and doesn’t have an objective or a plan, is a one-dimensional villain. Science fiction as a genre often deals with grand ideas, where the opposite force might be a government, a corporation, a council, an opposing alien race, and so on. Because of that reason, you need to find the characters within the opposing forces who can be the face of the enemy – or the villain. And even in that case, the villain character needs a specific reason as to why he or she had become the villain in the story. Focusing on the relationships between the characters is very important, especially in a science fiction novel. In a sci-fi novel, you can raise the stakes of danger for each character – and you can also raise the stakes in the relationships between the characters. If every character in your novel just easily got along, there will be no drama. We will talk about the importance of the dramatic plot a little later, however, the dramatic plot relies on imperfect relationships between the characters. In addition, just as the characters themselves change and go through their character arcs, there should be a change in their personal relationships as well. A mother and a daughter who don’t get along should discover why it’s happening and whether it can improve. A protagonist who has a girlfriend at the start of a novel will most often break up with her, probably very early in the novel as well. More importantly, having imperfect character relationships adds drama and obstacles for the protagonist to overcome during the course of the story. In fact, the protagonist’s relationships with most of the other major characters in the novel should be treated as secondary side plots, or plot threads that should lead somewhere – and that somewhere is almost always a change. It’s very easy to slip into stereotyping when creating characters, especially because there are character tropes that appear everywhere. However, it’s important to note one thing: when we create a character, it’s not a bad thing to fall on a trope for the first layer of the character. However, failing to add depth to that character as the novel progresses is where most writers often go wrong. For example, it’s okay for a female love interest to appear in a certain way at the beginning – even if that way is Mary Sue, or a seductive temptress – however, that character will remain a stereotype unless the writer adds depth to it. The absent minded professor (who appears in one way or the other in most science fiction novels) needs to focus in at least one scene, for the readers to see the contrast and to discover what lies beneath his appearance. And the same thing applies to all major characters in your novel. – the cannon fodder characters: characters that appear (some are even named) before a big battle/gathering/event where many people die – including the recently introduced characters. – the writer’s voice character: in science fiction, the easiest way to inform the readers is through a character that often acts as a mouthpiece that delivers world building information to the readers. He or she talks a lot about science and technology, and is often associated with being socially awkward. – The chosen one – the chosen hero who will save the day. – The double-agent: the traitor in a group of characters. – The fake double-agent: the character who outwardly appears as a double agent, but is in fact far from it. – The female love interest who barely has any real connection with the protagonist – the prize at the end of the novel. There are many other character stereotypes that appear in a science fiction novel (and novels of all other genres as well). The goal is to create layered characters – and subvert the stereotypes. Turn them around on its head. The female love interest should have a personality, opinions, and be in conflict with the protagonist (and the same applies to male love interests as well). And all of these character traits, relationships, arcs and changes need to happen within the events of the dramatic plot. What we call the dramatic plot in this guide refers to plots and side plots that are related to the characters themselves, not just to the science. If you want your readers to actually read your story and not doze off while reading it, you have to make sure it is dramatic enough to catch their attention. You need to put in some kind of a conflict between two people, two planets, two galaxies and so on. How do you put two galaxies in conflict? You choose two characters on each side, for starters, and then you bring them together. If the characters are not black and white – but with many colors and layers, bringing them together will give you the conflict you need, even if that conflict is only indirectly related to the main plot. Sometimes, the dramatic plot is related only to the protagonist – maybe he or she needs to deal with old demons from the past – and is affected directly by the events of the main plot, but everything about it happens inside the protagonist’s mind. Bringing a conflict into the story is crucial to the progress of the story, and the type of conflict tells the reader a lot about what you see as the important message of your novel. And while it’s dystopian novels that usually carry social commentary, that doesn’t mean that these do not slip into science fiction as well. Isaac Asimov, for example, wrote a lot of social commentary in his future history series (The Foundation and other novels and short stories), even though his works belong primarily in science fiction. By drama, we mean family drama, romantic drama, friendship drama. While many characters in science fiction novels are aliens, most often they are portrayed as humans (or as humanoid as possible, even if their physical appearance is different). As such, you need to remember that humans are inherently flawed. Sometimes, we betray people, and it’s even better if your characters betray people because of loyalty. Every decision taken by the protagonist needs to be the result of an inner conflict – where there are no good choices, and either one side wins or the other. Again, the same thing applies to most major characters in your novel. More importantly, your characters are human (or as human as possible), and that doesn’t mean that once the novel starts, the characters do not have a life anymore. It doesn’t mean that they do not care anymore about their friends, families, girlfriends or boyfriends, or husbands and wives. If your protagonist has a family, then there needs to be drama in that family, or, if the protagonist doesn’t have any kind of romantic reaction to any other character in your novel, it would be weird (unless the lack of romantic interest is a character trait of the protagonist). We talked more than enough about adding drama in a science fiction novel, and why it’s so important to not forget about it when exploring the new and exciting science fiction world you’ve created. But, aside from drama, you can mix almost any other genre in science fiction. Romance: adding a love interest for the protagonist, or maybe even more than one, creates a romantic side plot. In addition, you can expand on that side plot more if you are writing a series – even though many science fiction novels are either self-contained, or the subsequent books follow different characters and different stories in the same universe, or happen years, decades, centuries, millennia after the previous novels. Mystery: often, the protagonist in a science fiction novel has to solve a mystery. He or she might need to find the cure, find the doomsday device, or find the special technological gadget or artifact. The protagonist might need to discover who committed a murder on a spaceship, or what happened to someone who disappeared. This event, or this mystery, doesn’t necessarily have to be the main plot of the novel – although, this often does happen. Horror: when it comes to horror, it doesn’t always have to be vivid and graphic. There can be horror in dark hallways if the protagonist is afraid of the dark, for example. Or maybe the protagonist needs to deal with a force that he or she doesn’t understand, and it becomes a monster inside their mind. Often, exploring a new planet can be a horrific experience if the insects on that planet grow the size of buses and see humans as ants to be eaten. In this section, we will focus more on things that you need to do when editing your science fiction novel. While many writers advise the use of professional editors to help you edit your novel, we advise you to write the first draft, let it sleep for a few weeks, and then go back to it with fresh eyes. And once you start editing your novel, you need to take care of the bigger problems you might have. In science fiction novels, the problems can occur in the structure of the novel, where you fail to keep your readers engaged. 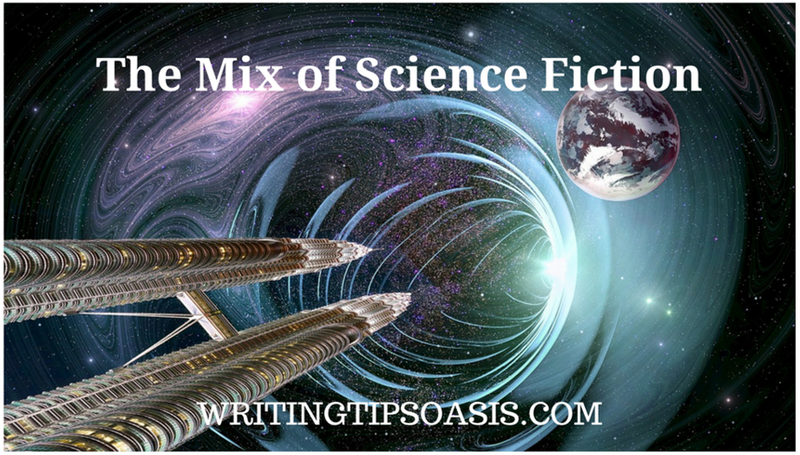 It can be in the writing itself – if you sound like a scientist in your science fiction novel, your novel will only be understood (and enjoyed) by other scientists and hard sci-fi readers who will understand the terms and lingo. Let’s take a look at possible problems that you need to discover in the editing process. This will enable you to create a second draft of you novel that will hopefully be quite superior to the first draft – and possibly save you time in future edits as well. In addition, writers who want to be traditionally published via an agent and a publishing house, will never achieve that goal if they only send in a first draft of a novel. One major problem that happens in a science fiction novel is this: either the action of the plot starts too late, with the first act of the novel dragging for what seems like forever – making the readers lose interest, or, the action starts too soon, and the reader is barely able to understand anything. For that reason, the first act of a science fiction novel is very important. First, you need to bring the readers inside your world, show the protagonist and the normal world of the protagonist. However, where most writers stumble here is with a boring first chapter that follows the protagonist in his or her daily routine. Then, following the plot, you present the protagonist with a problem – or a new world within his or her world – where the protagonist needs to act to solve it. An additional problem here is the genre itself. In a science fiction novel, the world is different from ours – and you also need to explain the science and technology in it. This is the reason why many science fiction novels start off slowly. On the other hand, starting with the action – the protagonist’s problem – will probably confuse the reader. Often, writers begin with the action, then they go back and explain the events that led to the action in a flashback or just through the character’s thoughts. The second and third act in a science fiction novel are also important, especially the third act with the resolution and end of the novel. For the structure, you need to make sure that the protagonist believably comes to the solution of the problem – and you need to ensure that the solution itself isn’t too obvious from the beginning (because that will make your protagonist look inept for not figuring it out sooner). In the end, you need to find a balance in a science fiction book. Make sure that the first act does not drag on for too long, but also beware of confusing your readers. Pacing is also very important – too long chapters dedicated to science must be broken by chapters with action and fast pace, otherwise, your readers will feel like they’re in a classroom. Science fiction is a genre that enables you to write any kind of a world you want – but that world still needs rules. Not only that, but if you say that on planet P, it rains every day at 5 PM, then you need to have that happen every time your characters are outside at 5 PM. The best way to avoid worldbuilding inconsistencies is to either keep track of everything as you write it, or create a detailed world before you begin writing your novel. This means maps of worlds, sketches of spaceships, mapping the position of your characters within the world. Characters themselves need to be consistent: in age, in appearance, in behavior, and in aging as well – especially if a year or more pass in the novel. The world, however, is very important because you also need to keep your science consistent as well. So, it’s important to either keep track from the start – or do it during the first edit of your novel. That way, if two elements of your world do not really work together, you can either change them until they do, or remove one or the other. – A character can travel back in time. Then, when presented with a problem that’s easily solved with time travel, the character tries everything else instead. In the end, the character turns to time travel, and after some obstacles, saves the day. – A scientist has a time machine. When his wife dies in a freak car accident, he turns to the machine to go back in time and save her. The machine breaks, however. He goes on a journey to fix the machine, and once he is changed and transformed, he is finally able to fix the machine and use it. When it comes to both worldbuilding inconsistencies and plot holes, you also need another pair of eyes on your novel. Someone who is not familiar with your world will be able to tell you whether your world is understandable, whether the science sounds too much like magic or not, and whether they noticed glaring inconsistencies. Previously, we spoke about mixing other genres with science fiction, but we did not talk about how and when. Those two things depend solely on the story you’re telling – and on your protagonist’s main objective. For example, if your protagonist’s main goal is to get the girl, even in a futuristic scientific world, then you’re writing a sci-fi romance. If your protagonist’s main goal is to solve a different problem, but also falls in love on the way, then you have a science fiction story mixed with some romance. The same applies for other genres. If your protagonist’s main goal is to survive scary aliens on a spaceship, you have a sci-fi horror story. But if the protagonist’s main goal is to solve a problem, and encounters danger on the way, and if you use horror to add ambiance to your story, you have a science fiction novel sprinkled with horror. With mystery too, everything depends on the protagonist’s main goal. Using a mystery plot in a science fiction novel, or using a romantic plot in it, does not take away anything from the story, however, a great science fiction novel will have elements of other genres in a balanced way. A mystery can be used to drive the story forward, you can use horror to add ambiance, family drama and romantic drama for characterization. And if each character has a role to play in the overall story and plot, you have a story where all the elements fall neatly into place. One of the most common writing advices out there is to write what you know. Another common advice is to write the way you want to write, without limitations. You can be literary, or you can write workman like prose that is easy to follow and very clear, but is not particularly impressive. Most writers will tell you not to focus on these things so much, and we agree – when it comes to the first draft of a science fiction novel. However, when it comes to the second and third and many other drafts, you need to begin to think of your readers. Will your readers understand everything in your novel, or are you confusing them with long paragraphs explaining the science in your world? One thing is for sure – the long paragraphs will not help much if they’re written in a scientific language. For example, you may have needed to learn a lot of scientific terms when researching for your novel, but that doesn’t mean that if you use the terms in your novel, your readers will understand them. While science fiction readers, who are your primary audience in this case, will probably understand plenty, that doesn’t mean that all readers will. In fact, many readers who are just beginning to delve into science fiction are often put off by science fiction novels where the language is more academic-like, which makes it difficult for them to understand and truly enjoy the story. The worlds opened by science fiction can be fascinating. You can take your readers on a ride in a domed world with unbreathable air, or you can take them millions of years into the future, in a world you imagined from scratch. Science fiction often starts with an idea: a what if that is way too far-fetched for today’s world and today’s reality. That doesn’t make science fiction novels disconnected from our reality – in fact, many science fiction authors are the biggest commentators of our present. It’s what makes science fiction speculative, and not just imaginative. In conclusion, the writing of a science fiction novel is a demanding task, especially because you’re not just telling a story set in the real world, you are telling a story in a strange science fiction world where everything is different. For that reason, keep track of everything in your world – even if you have to do it on post-it notes as you’re writing your novel. What you always need to remember is the human aspect: even the most futuristic worlds will be inhabited by humans (or humanoid characters) – and humans have hopes, dreams, and everyday lives within those worlds. Use this aspect to create more drama and to make the story feel more real. Create a cast of characters where everyone has an important role to play – either in plot or characterization. Surprise your readers with subversion of stereotypes and tropes. Instead of just having a young aide in a big corporation discover all the secrets, have an older scientist finally realize the things he has blindly done for them. Most importantly, however, you need to make sure that your science is plausible, if not completely realistic. Do not break known rules of science – unless you have a scientific way of explaining it. And remember, explosions in space do not have sound. A Beginner’s Guide to Writing Science Fiction is an article from Writing Tips Oasis.